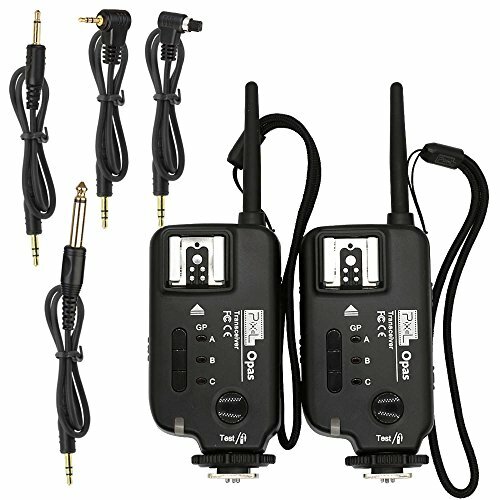 Uses global free FSK 2.4GHz and is compatible with high voltage flashgun and studio flashes, uses 2 standard AA batteries and also the USB socket for power supply. OPAS is a transceiver trigger which supports flash and studio flash. lt can control camera to shoot remotely, camera control camera to shoot and group trigger. Flash as well as compact flashes are triggered in manual mode, supports 3 different groups and 4 channels. If you have any questions about this product by Pixel, contact us by completing and submitting the form below. If you are looking for a specif part number, please include it with your message.